We’re gearing up for ISC West next week, the largest physical, IT and IoT security industry show in the US, and we’re excited to be partnering with a number of other attendees to create cutting edge hardware solutions. Our friends at Singlewire Software (www.singlewire.com) will be on hand in Las Vegas showing off their new InformaCast Fusion Server Appliance. We spoke with the team at Singlewire about this new device and how their emergency alert software is helping organizations and first responders stay informed. Can you tell us a bit about Singlewire? Based in Madison, Wis., Singlewire develops InformaCast emergency notification software. We serve a wide variety of industries including education, healthcare, manufacturing and government. Our goal is to help organizations achieve the two most important goals when it comes to emergency notification: speed and reach. Our InformaCast software gives organizations the ability to tie all their communication devices into a single system, so that with the press of a button, they reach as many people as possible, as quickly as possible. What is the InformaCast Fusion Server? 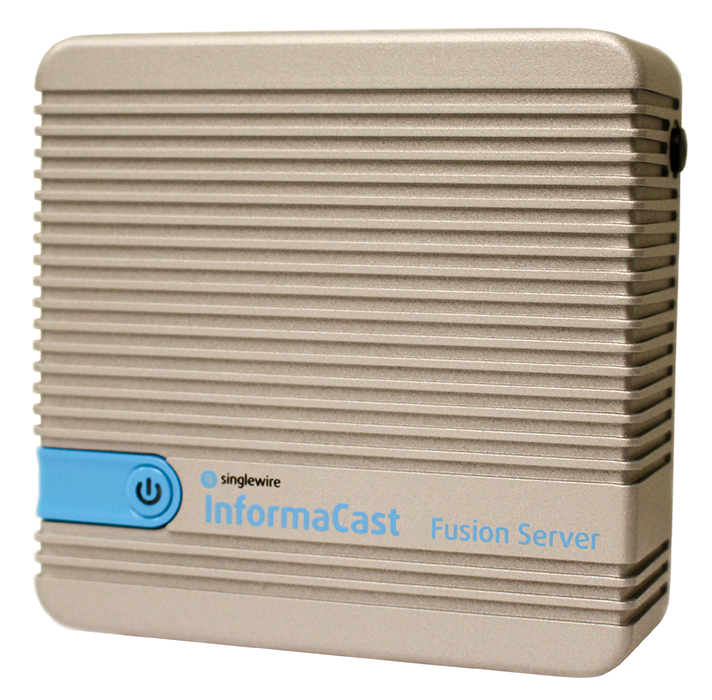 The InformaCast Fusion Server Appliance is a physical device customers using our InformaCast Fusion software can leverage on-site for emergency notification. What makes the Fusion Server so special? 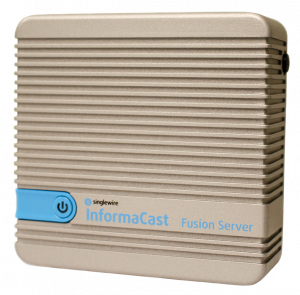 The InformaCast Fusion Server Appliance makes it possible to place InformaCast Fusion servers at locations on a customer’s network that don’t have virtual computing resources. In the event of a wide-area network failure, the InformaCast Fusion Server Appliance can continue to function. What are the potential use cases for this device? The biggest potential use case is for organizations with remote sites with limited virtual computing resources, such as rural schools or clinics. The server appliance eliminates virtual computing challenges by bringing a physical server on-site. How does Logic Supply hardware help? Singlewire Software was after two key components when looking at potential manufacturers for this tool: no fan, and no spinning hard drive. When it comes to these types of equipment, the fan, hard drive and power supply are the three components that fail most often. Taking out two of these components meant that the hardware system would be much less likely to fail. This also helped us avoid going with a military-grade device, which was not of interest to our customers. We found Logic Supply through a Google search and saw they offered the types of machines we were interested in using. These machines are based on the Intel NUC platform, which we knew to be a quality platform, and the CL100 met our performance requirements. While we interviewed other suppliers, they didn’t have as robust a supply chain or industry relationships as Logic Supply. We also saw many similarities between Singlewire and Logic Supply: smaller companies serving customers with particular needs with high quality products. On top of that, Logic Supply provides us with image installation and QA verification, which is valuable to our reliability brand. Can you talk a bit about the choice to custom brand the system and packaging? We didn’t want a box that looked like everyone else’s box. We were able to work with Logic Supply on a design that was in line with Singlewire branding, would be attractive to our customers, and didn’t break the bank. 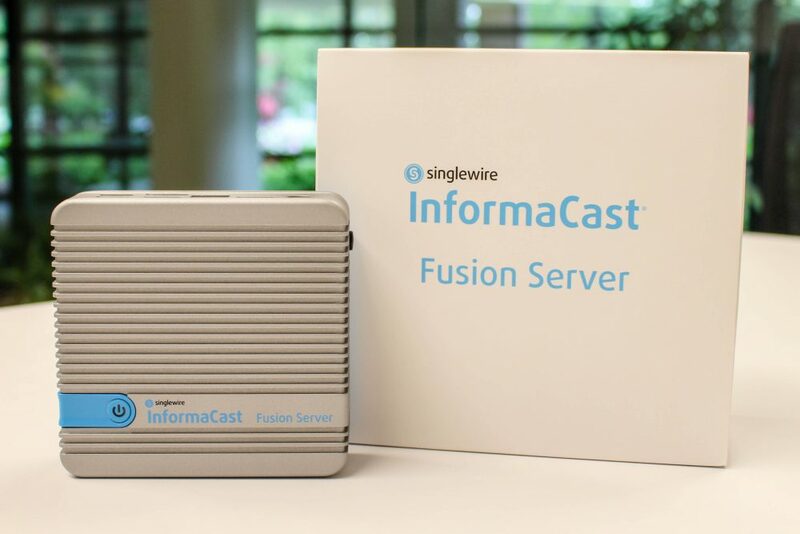 For more information about the InformaCast Fusion Server, stop by the Singlewire booth at ISC West starting April 11th (Booth #13134), watch the unboxing video below, or swing by the Logic Supply booth at ISC West (#14144) and talk to one of our Security Solution Specialists. Electromechanicals & PCs – Don’t Be Shocked!